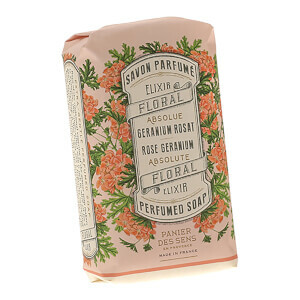 Treat your skin and senses to The Absolutes Rose Geranium Perfumed Soap from Panier des Sens. 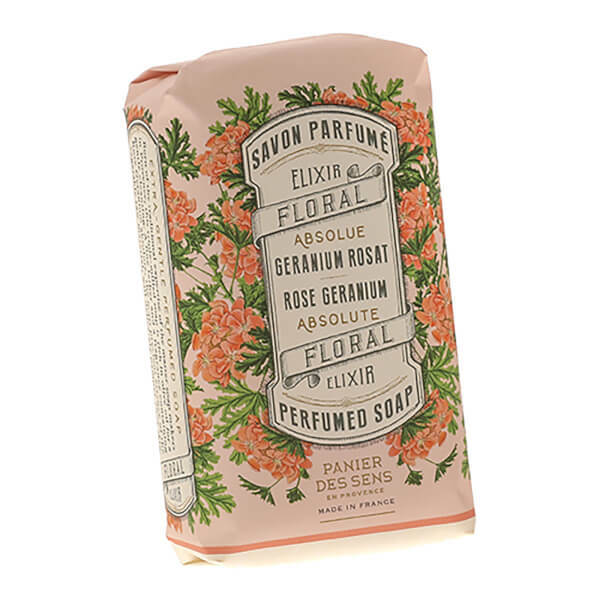 Crafted using the traditional expertise of master soap makers in Provence, the triple-milled soap gently cleanses and pampers skin to leave it feeling soft and refreshed. Enriched with Olive Oil, the soap bar creates a fine lather and imparts a delicate floral fragrance that will rejuvenate the mind. Wrapped in beautifully decorated packaging. Work into a fine lather on damp skin, and then rinse away.